Armin Hoffacker (born 1961) studied Aeronautics and Aerospace Engineering at the University in Stuttgart. After graduating, he started his career at Bosch in the corporate division Production Engineering. As a simulation expert, he was responsible for the deployment of Finite Element Analysis within Bosch. In subsequent appointments in the Gasoline Injection Technology division and in corporate research, he extended his field of activity by incorporating additional areas of IT in engineering, covering simulation and mechanical CAD. He was closely involved in the introduction of CAD and PDM at Bosch. Since 2008 he is responsible for the operation and further development of mCAD environments, including dedicated data management. Dr. Henrik Weimer (born 1971) studied Computer Science and Electrical Engineering at the Technical University of Kaiserslautern, Germany. After graduating, he pursued a career in academic research at Rice University in Houston, Texas. His work there was related to the efficient modeling of shapes, with application projects in the biomedical industry and geophysical exploration. After graduating with a Ph.D. in Computer Science from Rice University, he joined the IT for Engineering group at Daimler AG with a focus on Knowledge-Based Engineering and Design. Henrik joined Airbus in 2002 and pursued various roles of growing responsibility in Customer Services, Engineering Process Methods and Tools, and Aircraft Program Management. He currently serves as Airbus’ Senior Manager for PLM Architecture, Innovation and Plan. His responsibilities cover the architecture and integration of Airbus’ End-to-End PLM capabilities, demand management and business planning for PLM, as well as innovation and related research and technology development. 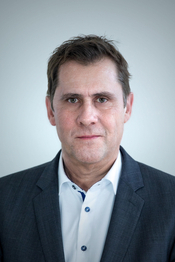 As a strong supporter of industrial cooperation, Henrik co-founded of the Aerospace & Defense PLM Action Group (www.ad-pag.com), and serves on the Industrial Advisory Board of the German Scientific Society for Product Development (www.WiGeP.de). 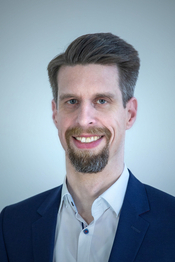 Henrik is a member of the board of the prostep ivip Association since April 2018. After a career of fourteen years in the automotive industry, Prof. Dr. Rainer Stark has been Director of the Virtual Product Creation division at the Fraunhofer IPK (Institute for Production Systems and Design Technology) in Berlin and Head of the Industrial Information Technology Department at the Technical University Berlin since 2008. The research interests of the organizations he presides include, besides the innovative technologies of product lifecycle management (PLM) and virtual product creation (VPE), in particular the new development capabilities in the field of self-learning systems, cyber-physical systems, smart services and digital twin solutions taking into account new key competencies like artificial intelligence, IoT and model-based systems engineering. Prof. Stark is a member of the German Academy of Science & Engineering (acatech), the Scientific Society for Product Development (Wissenschaftliche Gesellschaft für Produktentwicklung (WiGeP), and the International Academy for Production Engineering (CIRP). 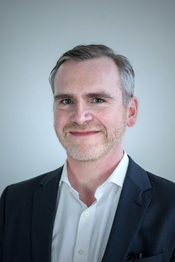 Philipp Wibbing (born 1976) is responsible as partner for business focusing on digitization and IT-management in the automotive industry at the management consultancy UNITY (www.unity.de). His expertise lies in the areas of digitalization, CIO strategy, systems engineering, PDM/PLM, Cyber Security, business model innovations, agile management and data analytics. Philipp Wibbing is a trained banker and studied business informatics at the University of Paderborn. After completing his studies he acquired consulting experience as managing director of a small IT and process consultancy and joined UNITY in 2005. In 2012 he switched to the field of business line responsibility and has been the Managing Director of UNITY Shanghai Ltd. since 2016. In addition to the consulting business Mr. Wibbing shares responsibility for investments and holdings within the UNITY Beteiligungs AG. 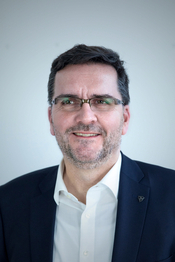 He is co-author of the book “Chefsache IT” (IT - a top-level issue) and has been a member of the prostep ivip board since 2018.